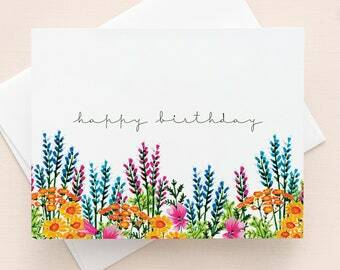 Watercolour illustration of colourful flowers on a blue background. 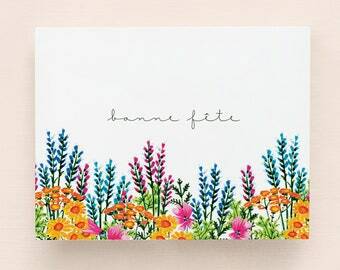 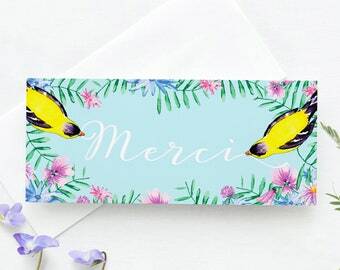 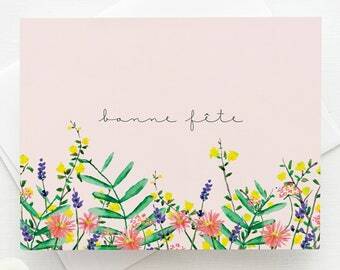 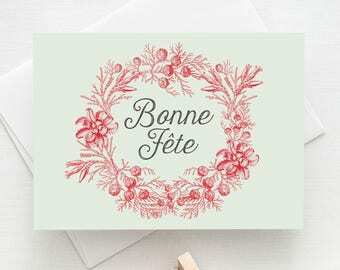 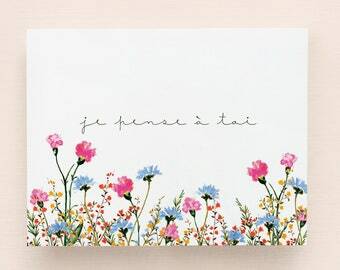 - "Merci beaucoup" Card with white envelope. 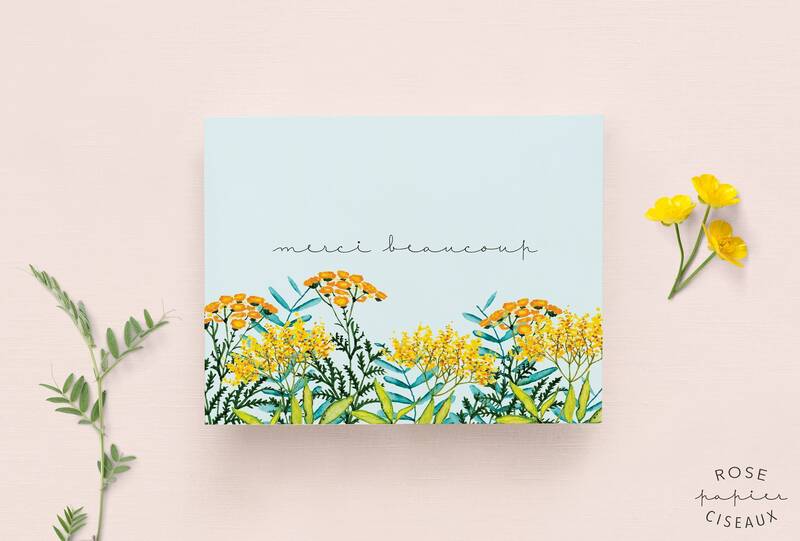 - Printed locally on thick quality paper.